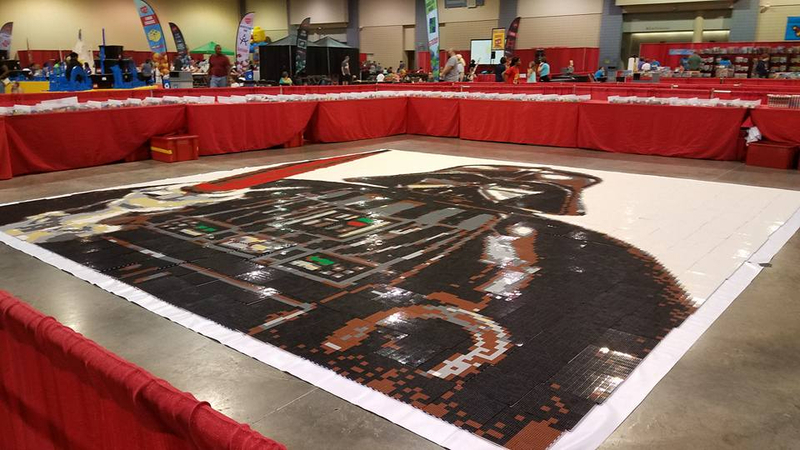 Hi, has anyone been to a Brick Fest Live event? One of the dates is near me and I was wondering what it was like. I was wondering the same thing: I purchased the Groupon tickets for tomorrow in NJ Medowlands Expo Center, now my schedule has changed and I am wondering how critical it will be to get there as soon as they open?. Lego Philly show was better, but by scattering the hours for access this had a lot less people in the main area though I suppose on Saturday and Sunday it will be packed. Figured I'd just ask here instead of starting a new thread. Grabbed some tickets to an upcoming Brick Fest Live event in Richmond Virginia in October. Not sure what to expect, it looks like it will be fun to take my daughter to, but people are saying the events vary greatly from venue to venue even though it's ran by the same organizer and that some are pretty lackluster. I opted for regular tickets, think 4 hours is enough or should I have gone for the VIP since it lets you stay the full day? How are prices at these shows as far as vendors go? Should I expect not to find any deals? 4 hours is plenty. Despite the timed ticket, you don't actually have to leave at the end of your 4 hours. The VIP ticket lets you get in before the larger crowd so the lines for some of the activities will be shorter, but many of the activities are open with no line. Only the race car challenge and the mini golf really get lines. As for the merchants, they vary by location. In general, don't expect any deals on normal retail products, but there are a variety of retired items, custom items, etc. that you may not find elsewhere. I was wondering about the whole time session thing, wasn't sure how they'd get you out at a particular time. Lol. We went to the one in West Palm Beach, FL. It cancelled last year for some reason but our tickets were good for this year. They had an area that had tons of the white architecture pieces to build stuff. They also had a gigantic blacktron area. It's highly doubtful that they were actual Lego but I'd be interested in finding out where you can get non-Lego Blacktron bricks. If anyone can point me in the right directions, I'd appreciate it. Its all real LEGO elements. They ordered tons of neon-color elements from Lego which fluoresce under black light. If you look, there's not actually any "Blacktron" printed elements. Just a lot of black and neon that looks like the old Blacktron line. Well, went to my first Brick Fest Live yesterday in Richmond Virginia. It was pretty good. Our tickets were only like $13 a piece, so it wasn't terribly expensive and it was a little less than a 2 hour drive. I'd say my only complaints were lines for things like the minigolf and Lego car races but I suppose that was to be expected (but a line to look at minifigs for sale??). Plenty of activities to keep the kids busy but the highlight for them was the giant pool of blue 2x4 bricks, that's where they spent most of their time. Best for me was the giant Vader build, it was cool how everyone's work got put together and you felt like you were part of something. There were a few bad apples there, like a little kid going around smashing other kids creations while their parents did nothing, but overall everyone was friendly to each other. Overall, I can't say I'd go again unless it came to my town and I would like to see more AFOL centric displays, they had one Woody figure from toy story that was awesome, but that's about it. I know it is a kid event, but still.